SEOUL/IRVINE, CALIFORNIA - Last Oct. 30, South Korea’s Supreme Court ruled that Japanese steel-maker Nippon Steel & Sumitomo Metal Corp. should compensate four colonial-era laborers 100 million won ($87,680) each. According to South Korean government data, Imperial Japan conscripted around 780,000 Korean laborers during its 35-year occupation. Tokyo maintains that all historical compensation issues between the two nations were settled under the 1965 treaty that re-established diplomatic relations and offered $800 million in grants and loans. Respecting the court ruling is a normative claim, which reasonable people may disagree with. However, the claim that such views were “not created by the government” is an empirical one that is demonstrably false. Since the United States replaced the pro-Japanese colonial regime with an anti-Japanese, anti-communist one (Syngman Rhee, 1948-1960), ruling parties in South Korea have continuously promoted a biased, selective view of neighboring countries while censoring views to the contrary. 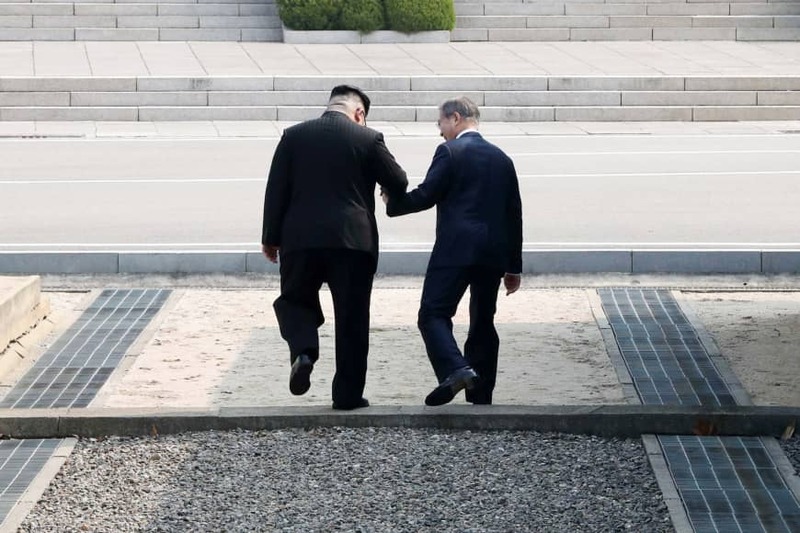 Right-leaning parties and activists have actively demonized the North Korean regime, whereas their left-leaning counterparts focus on the Japanese colonial era (1910-1945). Until 2003, government-issued textbooks and popular movies (e.g., 1981’s “Inchon”) regularly portrayed heroic South Korean and American soldiers against cruel Soviet-trained North Koreans. In the past, defectors were considered sacrosanct victims and would not have been publicly contested. But the rise of left-wing parties since the 1990s has opened up space for scholars, journalists and activists to challenge some defector testimonies. The left-leaning Moon administration has tolerated even overt praise of North Korean leadership. From a classically liberal perspective, the government should ideally protect the “negative-speech” liberty of its citizens and promote their “positive liberty” with critical, evidence-based education. It should tolerate, and perhaps even encourage, debate on complex, contentious issues instead of censoring one side and funding the other. 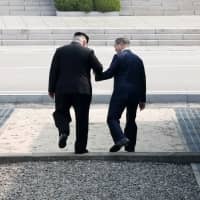 The debate over North Korea has become more plural, liberal and sophisticated since the 1990s, and has contributed to more critical, nuanced scholarship and prudent policymaking. Ironically, while South Korean public discourse on North Korea has liberalized, that on the Japanese colonial era has remained, or become more, illiberal. Since 1945, Korean historiography has stressed Japanese colonial oppression. In the 1990s, anti-Japanese demonization reached new heights with the claim that the Japanese military abducted 200,000 Korean women and girls and forced them into sexual slavery and that contemporary Japanese governments hide or deny this crime. Since 2003 and especially after 2010, when the central government loosened control over school textbooks and allowed local districts to select from various commercial publishers, left-leaning districts have selected textbooks that omit the alleged human rights abuses of North Korea but emphasize that of Imperial Japan. In the left-leaning Seoul school district, a sixth-grade social studies textbook (2016-2018) stated, “Among the people taken forcibly [for forced labor] were many women; young women who were abducted into the Japanese military experienced much pain.” In the 2016 movie “Spirits’ Homecoming,” Korean girls were kidnapped, abused and killed, their bodies burned by Japanese soldiers to destroy evidence. “Spirits’ Homecoming” was widely praised in South Korea and received the 21st Chunsa Film Art Awards’ People’s Choice Most Popular Film Award. Since 1995, the number of popular movies portraying Japanese crimes (or denialism) has far surpassed those portraying North Korea, including “The Murmuring” (1995), “The Murmuring II” (1997), “The Murmuring III” (1999), “My Heart Is Not Broken Yet” (2007), “The Big Picture” (2013), “The Last Comfort Women” (2014), “Tuning Fork” (2014), “Snowy Road” (2015), “Spirits’ Homecoming” (2016), “Spirits’ Homecoming, Unfinished Story” (2017), “I Can Speak” (2017) and “Herstory” (2018). In addition, South Korean government funding for alleged victims of Japan surpasses that of alleged victims of North Korea. In 2016, Seoul paid 55 million won (roughly $50,000) every year for each alleged comfort women. The Moon administration escalated the comfort women issue even further, by inviting activist Lee Yong-soo to meet U.S. President Donald Trump and adding an annual Memorial Day for Japanese Forces’ Comfort Women Victims. In contrast, the much larger number of women who sexually served the U.S. military in South Korea and those who served Korean troops during the Vietnam War receive no funding or recognition from Seoul. Along with actively supporting one side of a complex issue (human rights in colonial Korea), anti-Japanese South Korean officials and activists have censored contrary or nuanced perspectives. Professors Sarah Soh (San Francisco State) and Park Yu-ha (Sejong University) challenged the veracity of some comfort women testimonials and offered more complicated views of Japanese colonization. No Korean publisher has translated Soh’s award-winning English-language book. Nine comfort women activists sued Park in both civil and criminal court for defamation, and government prosecutors requested a three-year prison sentence. A Seoul civil court partially censored Park’s Korean-language book and fined her 90 million won (about $80,000) for defaming survivors. On Jan. 25, 2017, a Seoul criminal court acquitted Park on the charges of defaming the comfort women survivors with her book. However, on Oct. 27 (with the Moon administration now in power), a Seoul appeals court overturned Park’s acquittal and fined her 10 million won (approximately $8,850). Prosecutors have appealed again for a three-year prison term. On Dec. 12 and 13, 2016, media outlets publicized student activists demonstrating against a foreign (Korean-American) professor who discussed the Soh book in his political science courses. The university investigated activist charges that the professor supported Japanese war crimes, and he was pressured to write a letter of apology to continue his academic employment. Similarly, last Nov. 1, media outlets publicized a Yonsei lecturer who dared to critique comfort women testimonials. Paradoxically, left-wing campaigns against Japan (the rejection of the 2015 comfort women agreement and the 1965 normalization treaty, weekly demonstrations in front of the Japanese Embassy in Seoul, expropriation of Japanese property in South Korea, censorship of internal dissent) undermines the Moon administration’s rapprochement with North Korea in three ways. First, it harms Seoul’s credibility and influence with Japan, a potential ally to aid and integrate North Korea into the world economy. Second, by risking economic and trade retaliation from Japan, it imperils the South Korean economic prosperity necessary to economically aid North Korea. Third, it undermines the critical thinking and evidence-based scholarship that are essential for democratic politics, and therefore imperils the role South Korea can play as a political model for North Koreans. Right- and left-wing campaigns that dramatize and distort complex realities, and censor dissenting voices, do not enhance anyone’s liberties. It becomes difficult to distinguish between testimonials that reveal real suffering and abuse, and those that are exaggerated or imagined. They provide an easy excuse for hard-line voices in neighboring countries to reject all victim testimonials as lies. We argue for thoughtful public discourse that transcends national boundaries, critically discusses complex realities and promotes mutual understanding and genuine justice. Joseph Yi is an associate professor of political science at Hanyang University in Seoul. Wondong Lee is a Ph.D. candidate in political science at the University of California, Irvine and is affiliated with the UCI Center for Critical Korean Studies.